On 9 November 2017, APC convened a roundtable with four aid agencies to understand better how philanthropists could support efforts to alleviate the Rohingya refugee crisis. APC Chairman and member, Stanley Tan, hosted representatives from Save the Children, ActionAid, Jesuit Refugee Services (JRS) and the United Nations High Commissioner for Refugees (UNHCR) at the offices of Global Yellow Pages for the session. APC member, Christopher Franck was also in attendance. 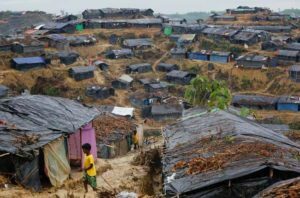 The agencies provided updates on the current state of the crisis: At the time of the roundtable, there were an estimated 820,000 Rohingya refugees staying in Cox’s Bazaar, Bangladesh. Each agency also explained their respective work in women and children’s safety, education, food security, shelter and sanitation before outlining the historical and political challenges in coming to a viable resolution. Funding, food, shelter and medical aid were cited as pressing needs by the agencies. As Tom Godfrey of Save the Children said: “The situation on the ground must be improved in the absence of any other imminent solution”. The group then launched an open discussion to gauge how APC members can provide transformative and sustained support to on-going relief efforts. Stanley iterated that contributions should ‘benefit everyone equally’. 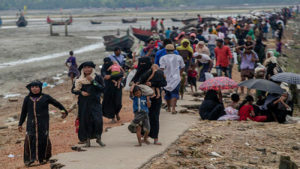 A solution, he said, should be accepted by all stakeholders involved, including the Rohingya people. The discussion eventually led to the idea of forming a working panel of local and international stakeholders that would produce and champion a blueprint for a feasible solution. Julie Rezler of Save the Children offered to tap into the organisation’s network to find appropriate leads for the panel. As of December 2017, the idea continues to be in its preliminary stage and APC members will be updated on any progress. The meeting left APC and members with a deeper understanding of the complexities of the situation with the Rohingyas and their conditions in Bangladesh. Participants acknowledged the bleak situation and difficult and uphill task to find any resolutions, but still remain committed to do their part in helping.